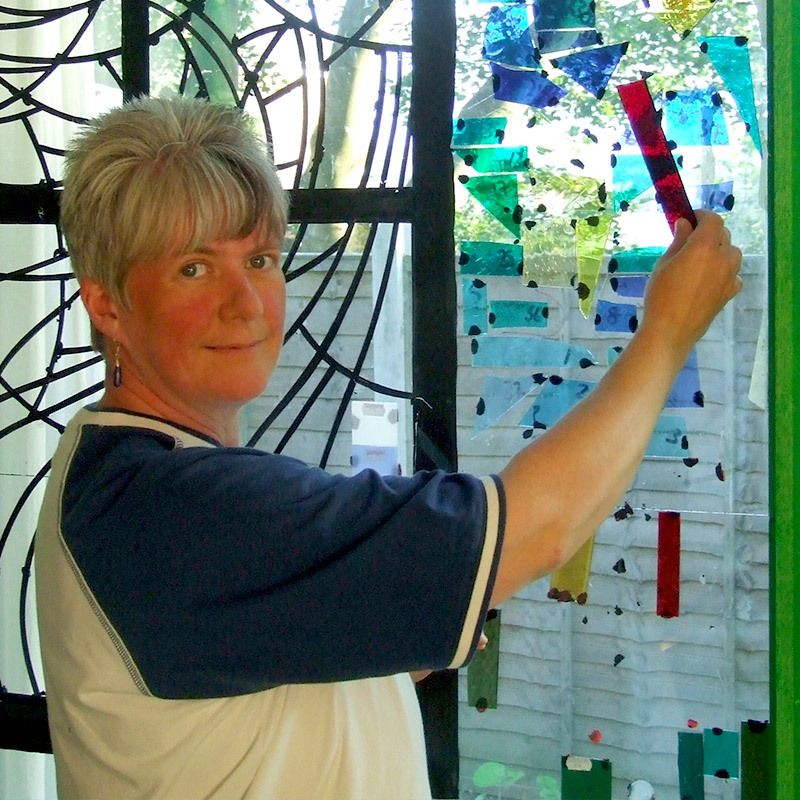 Having studied printmaking and stained glass at the world famous Glasgow School of Art, Shona produces commissions for across Scotland and beyond. 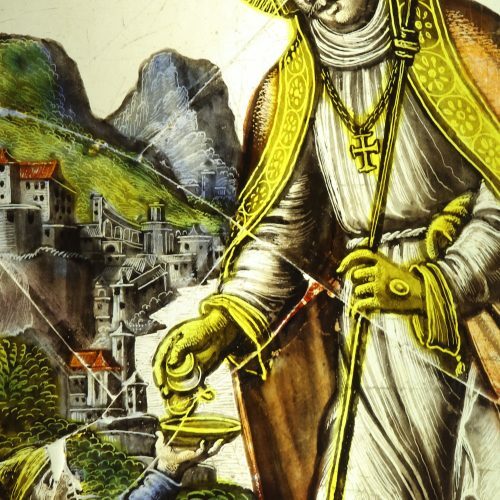 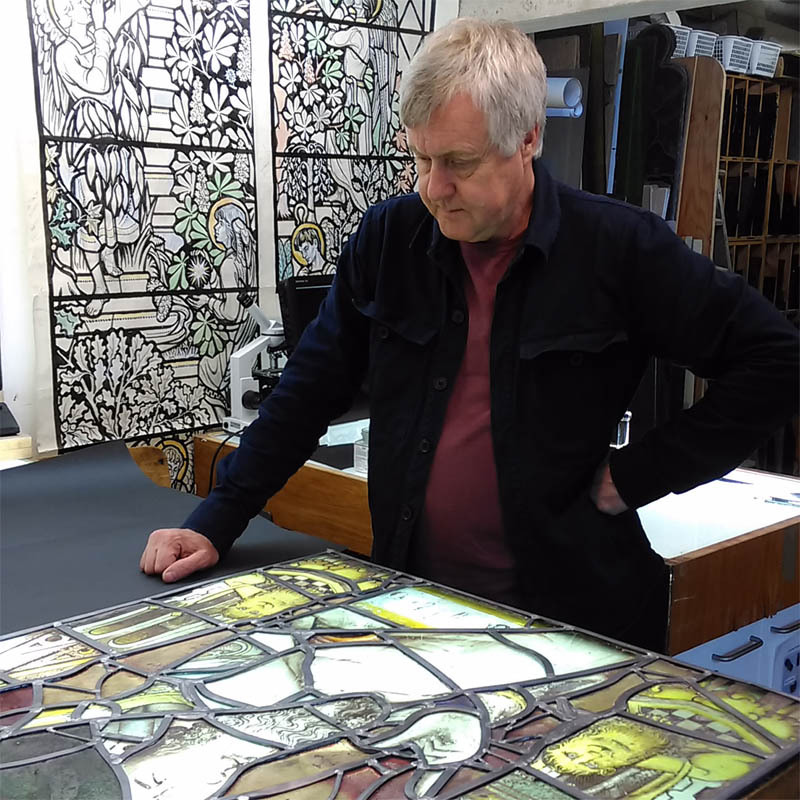 Steve trained at the renowned Glasshouse in Fulham before setting up Holy Well Glass, which now holds the Royal Warrant for glass conservation. 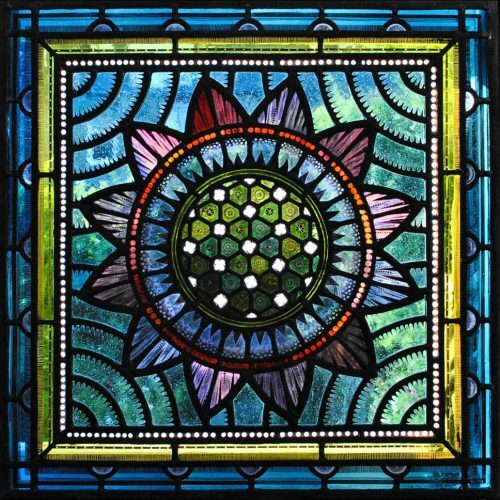 Dan is passionate about all forms of glass, from conservation of historic stained glass to contemporary kiln-formed vessel glass. 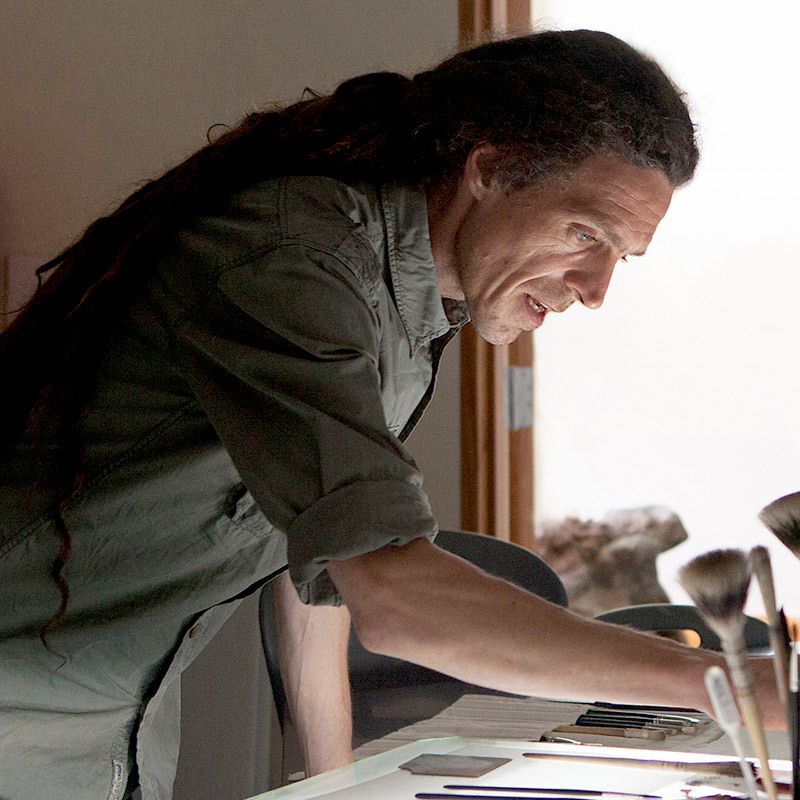 Alisoun studied at Edinburgh College of Art. 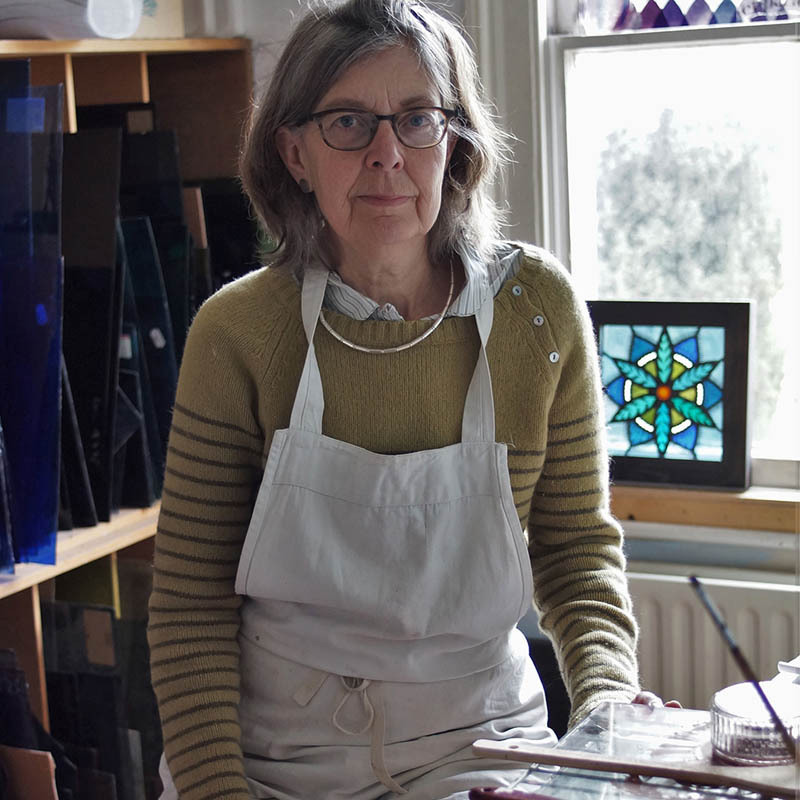 Her richly decorated and work is created in her London studio. 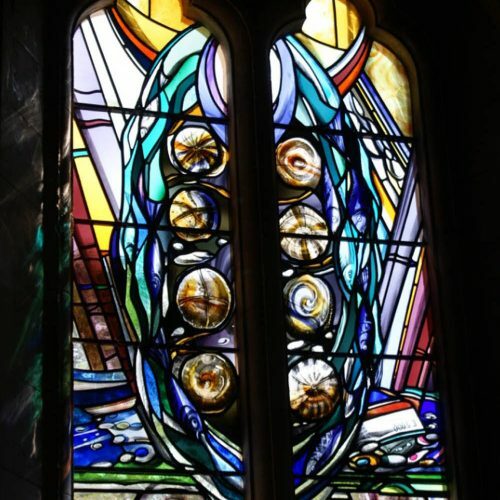 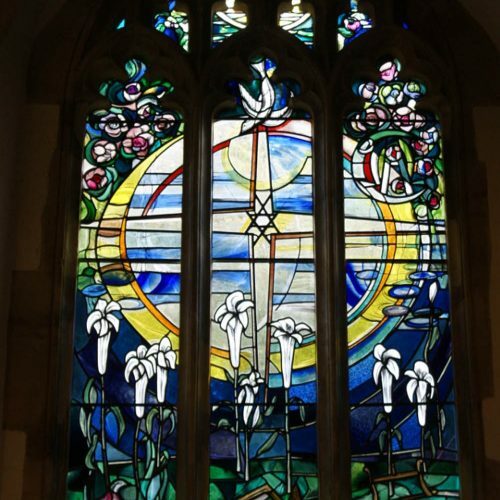 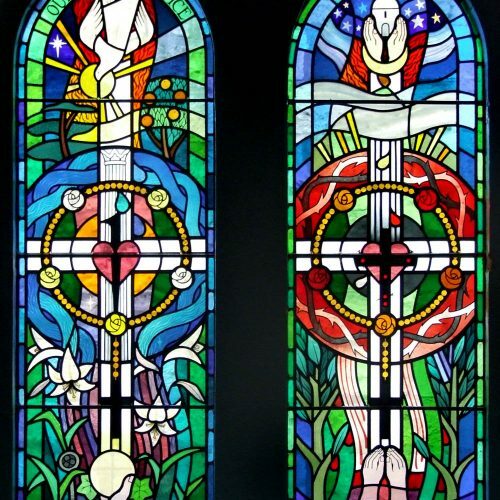 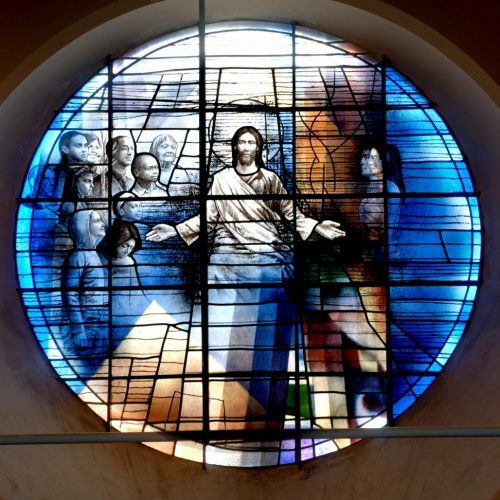 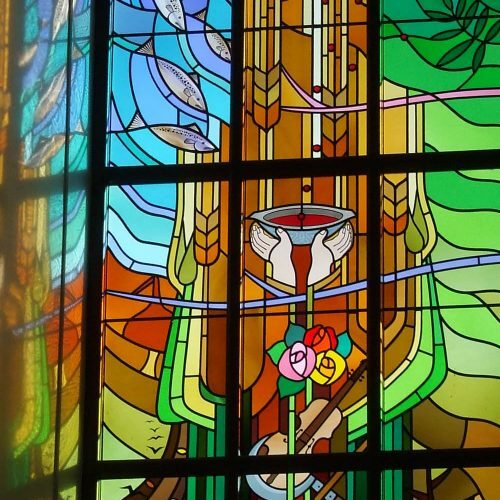 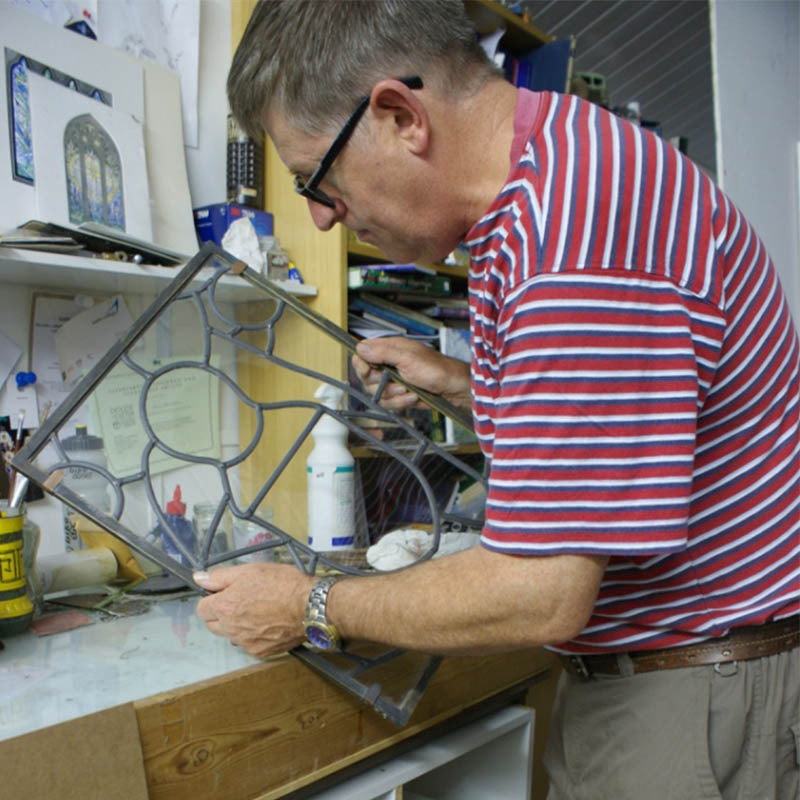 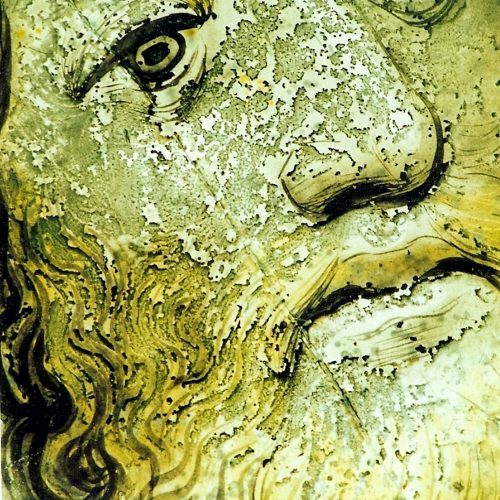 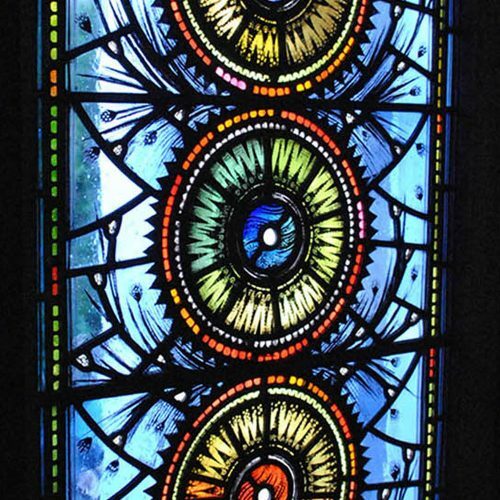 Andrew studied stained glass at Swansea before establishing his own studio. 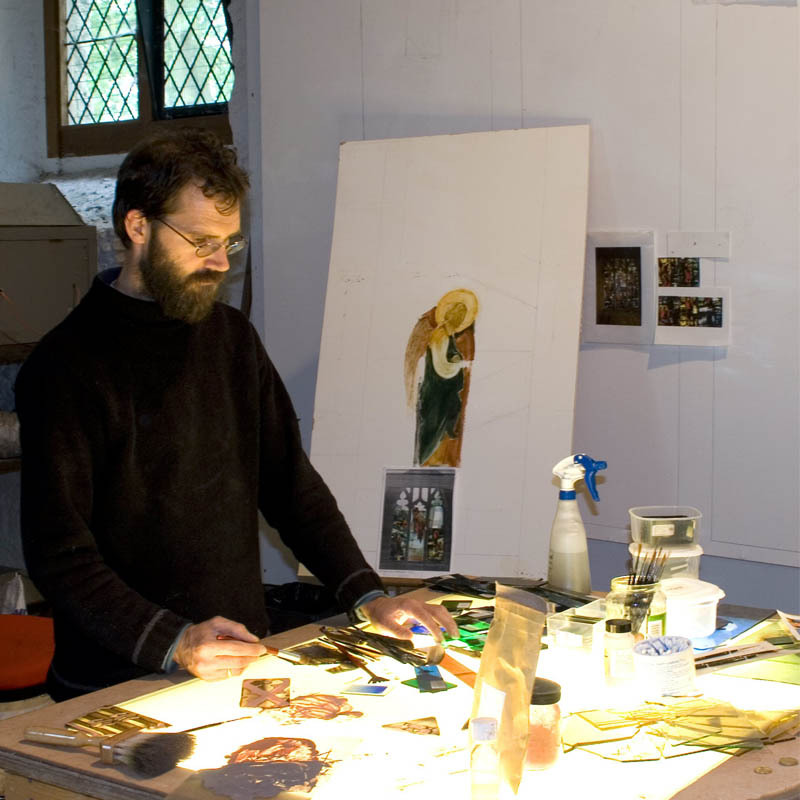 His ecclesiastical knowledge is enhanced by his work as an Anglican priest. 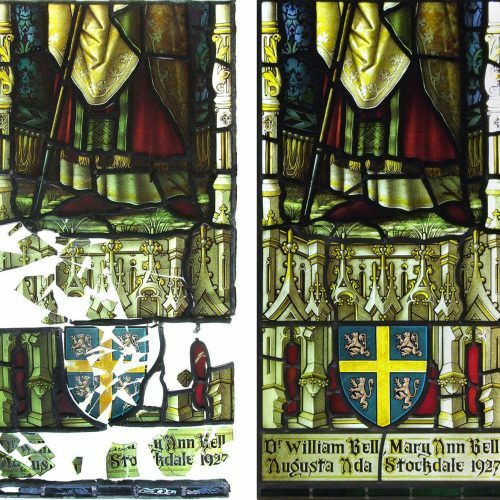 Benjamin studied stained glass at Central St Martins. 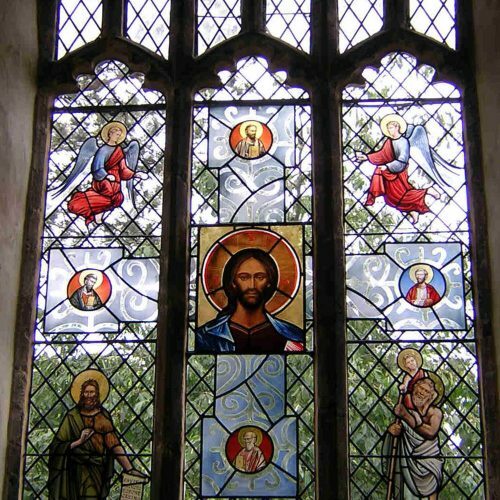 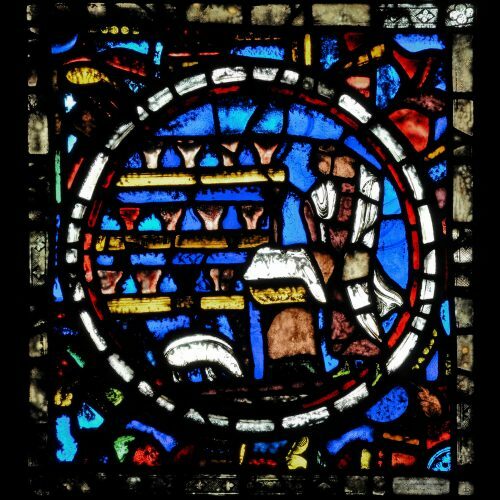 He has windows in Southwark Cathedral and Chelmsford Cathedral.